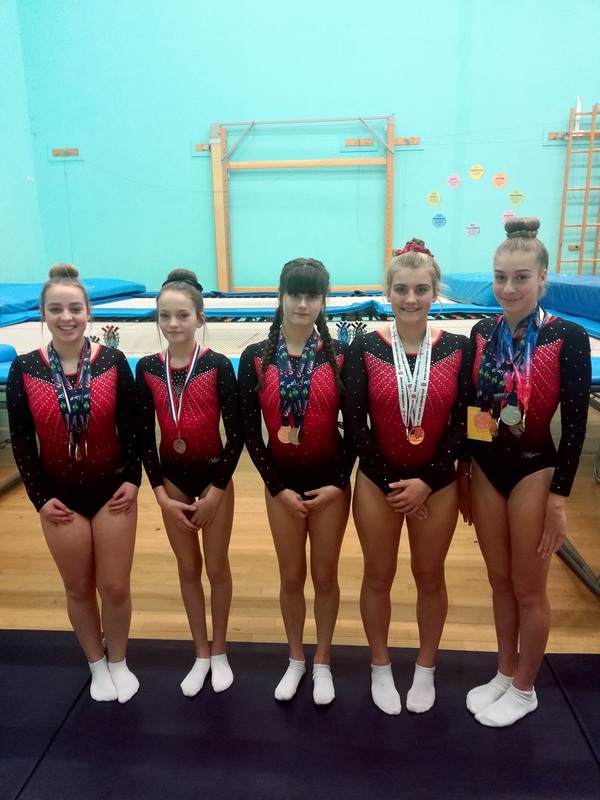 Top trampolinist Sofija Kalnicenko rounded off an excellent season for Bognor’s Dragonflyers by scooping gold on the national stage. With only one international event to go, competitors from the Bognor-based club produced a series of excellent displays at the League One finals in Sheffield. The high point was a stunning performance from Kalnicenko, who produced her personal best performance of 141.020 over three routines. This placed her 5.755 marks above her nearest rival, Rhianne Mulligan (14th at British championships – City of Salford) and well ahead of Rhiannon Roberts (10th at British championships). It rounded off a good fortnight for Kalnicenko, who teamed up with Rosie Budge and Libby Morton to take international team bronze in the 13 to 14-years category at the DWH biannual event the week earlier. Over a dozen countries participated in the event, some entering their national team. Kalnicenko also qualified for the individual finals, one of only three British performers to do so and finished a respectable fifth place behind the Swedish, Netherlands and Polish national team and Edgebarrow club. Elsewhere, Morton and Lucy Hijmans finished fifth at the synchro league finals where they challenged the very best male female and mixed pairs. Morton also placed ninth at the individual League Two finals. Coach Linda O’Leary said: “Dragonflyers have had a sensational season. This tiny club qualified the majority of its competitive performers to regional finals where two-thirds medalled. In total, 15 national medals plus a team international medal has been won.